All dive sites from the South to the far North and of course the exceptional beautiful dive sites around Klein Bonaire are reached in short time. The ride is comfortable while you can see Bonaire from the perspective of the sea. 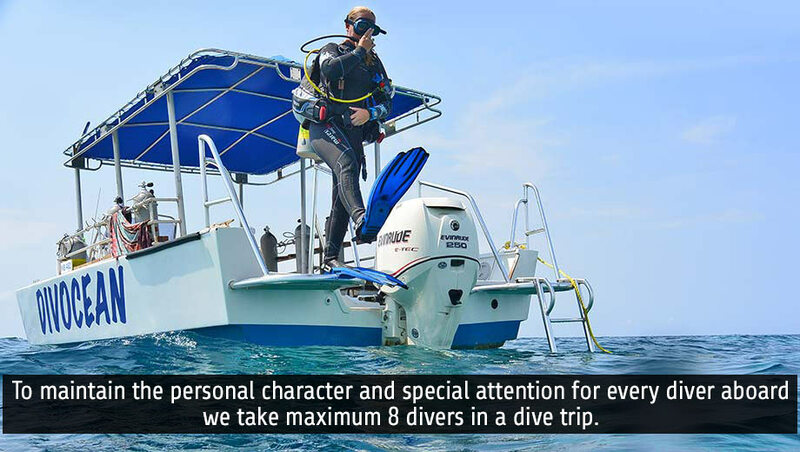 Our goal is to visit the dive sites that are difficult or impossible to access from shore. 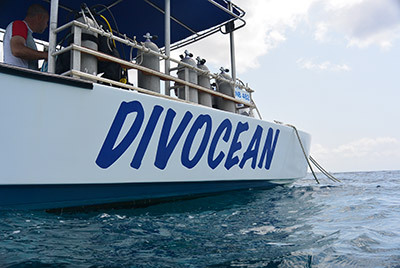 We offer 1 and 2 tank boat diving trips. Friends or relatives of divers who want to snorkel or swim also have the possibility to come along. 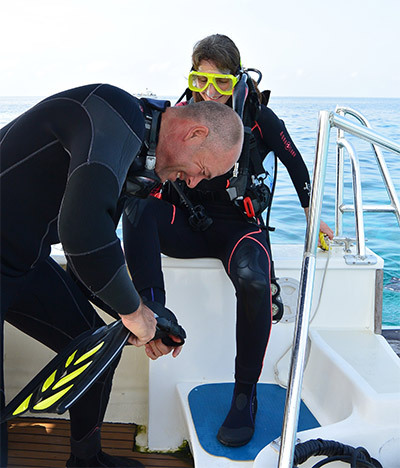 In this case we look for a dive site where divers and snorkelers can enjoy the beautiful reefs. On board we have an oxygen providing system, First Aid Kit, cool drinking water, lifejackets and marine radio to maintain contact with shore or the coast guard on sea. The boat is docked just behind the dive shop, so minimal carrying of your dive gear.